It has been a real honour to have the opportunity over the years to present at Low Carb Down Under and have them shared on their YouTube channel! Without further ado, here’s my latest presentation on satiety from the last meeting on the Gold Coast in Australia. 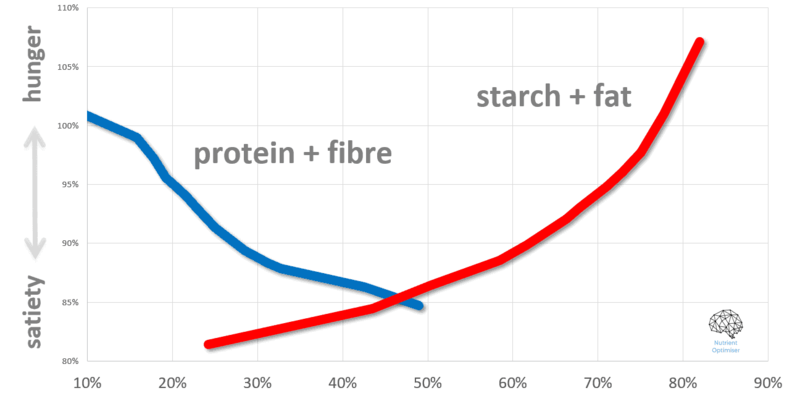 Satiety is a fascinating and multi-factorial parameter of our food that depends on protein, fibre, energy density and the balance between carbohydrates and fat. We’re pretty excited to have been able to progress the quantification of satiety to help people make more informed food choices that will influence how much they want to eat. If you want more details you can read all about it in the Systematising Satiety: How to optimise your diet to manage hunger article. Along with nutrient density and insulin load, satiety is a key component of the Nutrient Optimiser. If you’re interested in checking out the Nutrient Optimiser for free registrations are now open for the Free Four Week Nutrient Density Challenge. Just watched your presentation–now I’m going to let Hubby watch it, because he was an engineer in the Navy, so he’ll click right away with you. Maybe he’ll make better progress toward weight loss after seeing it.